Bankruptcy is an uncomfortable situation because it involves admitting that debts cannot be repaid in full. However, many people have no other choice and they take this approach so they can start fresh from a financial perspective. After filing for Chapter 7 or Chapter 13 and following the appropriate process, many people are left with little or no debt but all have a poor credit score. Surprisingly, bankruptcy can also be a good way to reestablish credit, especially when considered as an alternative to foreclosing on a home. Both actions damage the credit score for multiple years but after the home is foreclosed upon, the homeowner still has mortgage debt. Few mortgage lenders will approve an individual with foreclosures on their credit reports. Despite its negative effect on credit, going bankrupt allows people to begin rebuilding credit almost immediately following its discharge. For someone who wants to have some or all debt written off and to get back on solid financial ground, going bankrupt and then getting quickly getting back on track can be the best approach. But, how can people obtain credit post bankruptcy if their credit scores drop due to filing Chapter 7 or Chapter 13? How do they show lenders that they are no longer a credit risk? The answer is patience, time, and discipline. The good news is that lenders now pay more attention to other factors when deciding whether to offer credit. If the individual becomes more financially responsible, the credit rating can be restored once the credit report is no longer blemished by the big B. This can take up to ten years, which is where patience comes in handy. Timeframe for credit repair depends upon the amount of negative information on the credit report, the severity of each item, and when the issue was reported. Credit scoring models consider recency, severity, and frequency of credit issues. Risk thresholds vary by lender so while some lenders will begin offering new credit, other may wait three years or longer. Those initial offers will not be very attractive, reflecting low credit limits and high interest rates. Individuals should immediately begin paying their bills on time and in full. 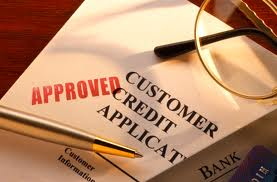 This positive activity will appear on the credit report, replacing less recent negative information. By developing a history of positive credit, the negative impact of going bankrupt lessens. Life after bankruptcy may not be pleasant in the beginning but it can be if the individual follows these guidelines. Will credit card companies give me a card to use after my bankruptcy?